She slipped away without saying goodbye! Klara M. Arrington, age 73, died at Aultman Hospital in Medical ICU on, April 30, 2014 at 10:42 a.m. She had been ill off and on for the past two months. 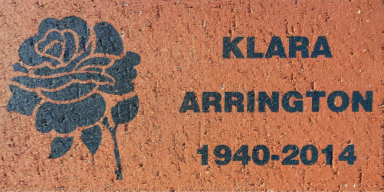 Klara was born in Montgomery County, Ala. on Oct. 16, 1940 to the late Rev. Eddie and Annie M. (Hart) Arrington. She was the eldest of eight children and was the mother of one son. She was preceded by Rev. and Mrs. Arrington, her son, Richard Duane Arrington, and a brother, Earnest Arrington. Ms. Arrington graduated from Massillon’s Washington High School in 1958 and Wilkins School of Cosmetology in 1960 in Cleveland, Ohio. 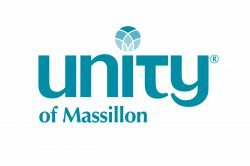 She was a long-standing member of the Unity Church of Truth in Massillon. Left to mourn are four brothers, Edward (Sheila), Glenn of Canton; Walter (Eileen) of North Canton and Michael (Donice) of DeSoto, Texas; two sisters, Mamie and Eddi ‘Lois’ of Massillon; a grandson, Richard Duane Arrington and a great-granddaughter, Damia Arrington of Canton, Ohio. Services will be held on Tuesday, May 6, 2014 at 12 Noon at Peoples Baptist Church, 701 17th Street S.E., Canton, where Rev. Dr. Walter J. Arrington will be eulogizing and Rev. Edward Arrington II will be officiating. Visitation will be held on Monday, May 5, 2014 from 6-8 p.m. and on Tuesday, May 6, 2014 from 11 a.m. until time of service. Visitation will also be held at Peoples Baptist Church. Always elegantly attired, Klara Arrington shares announcement duties with Mary Ann King. The oldest of seven children, Klara was Massillon raised in a family of ministers. Her father, Reverend Edward Arrington, Sr. is the retired pastor of Mt. Calvary Baptist Church. Her two brothers are ministers…Walter J. at People’s Baptist in Canton and Edward Arrington II, Associate Minister in Second Baptist Church, Warren, Ohio. Klara’s musical background is fascinating. She sang for 20 years with a semi-professional group, The Prestonians. They did hymns, spirituals, light pop, and gospel acappella. For 12 years their program “I’m So Happy” continued on Chanel #3 in Cleveland. The Group made a cross country tour for 3 weeks in 1971. As a single parent, Klara raised her son and shared with us so meaningfully his recent transition. Grandson 7-year-old Richard Duane Arrington, II, keeps her on the go. Klara enjoys living from the spiritual plane and feels the lack of judging and the freedom just to be is what makes Unity beliefs so attractive to her. She has belonged to Massillon Unity since 1987 and proudly states she is its only black member. She currently serves as a Board Trustee. Klara works at Incept Corporation, a local public relations firm, and has written outstanding feature stories for the Massillon Daily Independent. How blessed we are that this warm and caring lady is part of our Unity Family.